The way of enjoying Japanese tea doesn't have to stick to the conventional way. More shops have served the tea in more casual way recently. 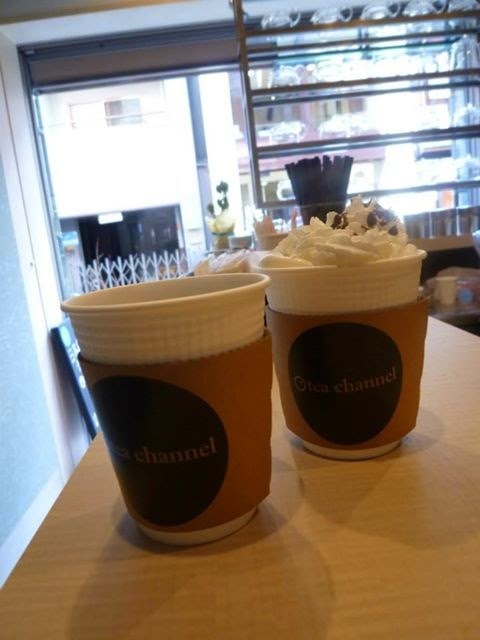 I learned that another new Japanese tea stand “Tea Channel” just opened in Kyoto. To me, their way sounds like very Starbucks-ish. First, the customers choose the size of cup and what kind of tea you would try. Second, they can choose the taste. Would you prefer bitter, mild or super mild etc?? They prepare the tea according to your taste. Then, you can also order “the topping” such as whipped cream, nuts, honey, the leaves etc. “Topping” sounds very “novel” to me for Japanese tea. I heard that they also serve some interesting “tea leaves and apples smoothie”, which I have never had. Kyoto is the heart of traditional tea culture. It is good to see enjoying the old drink in the new style at such a time-honored place. Enjoy as you like it.